Mercy Johnson's marriage has continued to wax stronger as that of some of her colleagues crash faster than they took place. 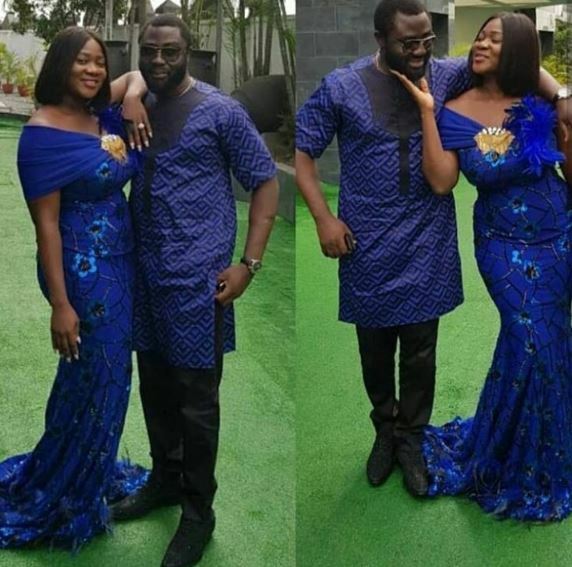 Actress, Mercy Johnson and her husband, Prince Odi Okojie stun in new loved-up photos looking so adorable and admirable. They step out in matching the colour of the outfit. The duo has three beautiful kids together and their union is becoming a model to others. Mercy Johnson once deleted her husband's photos on her Instagram page sparking rumours that all was unwell, but the couple seems to have dispelled the rumours with more loved-up photos.